I’ve been following the sad news in Civil Air Patrol and there are somethings that CAP members who couldn’t travel to the 2018 Disney Conference need to know. 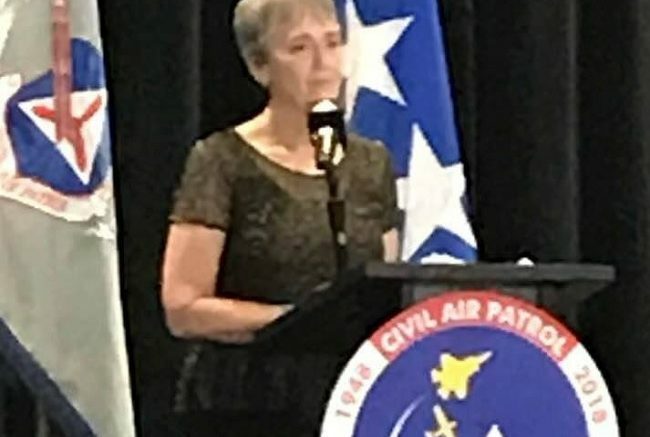 SECAF Heather Wilson appeared at Civil Air Patrol’s National Conference to speak about the inspirational Civil Air Patrol of the past. She dressed like she was at Civil Air Patrol’s funeral. She made no mention of her Civil Air Patrol appearance on either of her Twitter and Facebook accounts. Is she ashamed of us? I now agree with your contributors that the organization will not be able to continue until it rectifies the injustices of its past. It may even be too late. 14 Comments on "SecAF Heather Wilson Appears to Mourn Civil Air Patrol"
I do not like her, here’s why. MI Toxic AFB. Heather Wilson is helping to make me sick, literally. Look up the battle over the PFAS contamination at Wurtsmith Air Force Base up here in Michigan. Our Governor Gretchen Whitmer is very impressive, but under attack. If you allow this comment, I will get you more information. Do you think Trump is going to add to his nightmare by making Heather Wilson Secretary of Defense? I think you could share this POGO article on Heather Wilson with your readers. 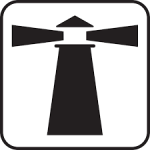 If you release the comment, I will know you are interested and write a post for you. “[Heather] Wilson left the House in 2009 and a mere one day later signed a contract with Sandia National Laboratories, a New Mexico-based lab that works on maintaining the US nuclear arsenal. While federal law prohibits Members of Congress from lobbying for one year, it does not include the myriad other ways former Members of Congress can use their experience and contacts to benefit industry. Though the lab is federally owned and taxpayer funded, it is managed and operated by a private contractor called the Sandia Corporation, a wholly owned subsidiarity of Lockheed Martin. There are many reports detailing the conflicts of interest that Heather Wilson has used. You could write on that. The move is to take the Air Force style uniforms away from the senior members who cannot police themselves. That should stop some of the more public affairs. Word on the street is that CAP corporate plans to eliminate ALL USAF style uniforms for senior members. The “fake Air Force” will soon have their own look and style, except for the cadet kiddies. Check out CAP’s ‘ridiculous’ mission for Hurricane Florence preparation – Aerial Traffic Duty! What a joke!!! What ever happened to CAP’s search and rescue mission??? Heather Wilson, when are you going to give us some real SAR missions? You guys need to get the video of her speech up so that everyone can refer to statements she made by time stamp. I saw it live and I agree with you. Heather Wilson is low energy and not the right person to have as Secretary of the UNITED STATES AIR FORCE. Need a dynamic leader. It is almost as if Trump and Putin are seeking to undermine our defense with this morbid selection. Also, everyone knows that the story of Civil Air Patrol sinking German submarines is false. Unbelievable! By stating that Civil Air Patrol sunk two German U-boats during World War II, is Heather Wilson exposing Frank Blazich’s research and high profile campaign as utter bunk?!? Or is Heather Wilson just lazy and ignorant? CAP NHQ released Heather Wilson’s speech with only a photo on YouTube, and no video? What are they hiding? Wilson took parts from CAP’s old history books and the CAP annual report. 20+ minutes of sheer boredom with factually inaccurate statements. One of my CAP PAO friends said that they couldn’t release the video because so many of the members had dozed off on camera. Could that really be true? That this is our Secretary of the Air Force is a testimony to just how far we have fallen. I looked into Civil Air Patrol once and found it full of inflated egos who jumped through paper training of little difficulty to advance.